Lightning Mc Queen : I'm a very famous race car! Luigi : You are famous race car? A real race car? Lightning Mc Queen : Yes, I'm a real race car, what do you think? Look at me. Luigi : I have followed racing my entire life, my whole life! Lightning Mc Queen : Then you know who I am. I am Lightning McQueen. Lightning Mc Queen : Yes! Yes! Luigi : I must scream it to the world, my excitement from the top of someplace very high. Do you know many Ferraris? Lightning Mc Queen : No, no, no, they race on the European circuit; I'm in the Piston cup. Lightning Mc Queen : What? 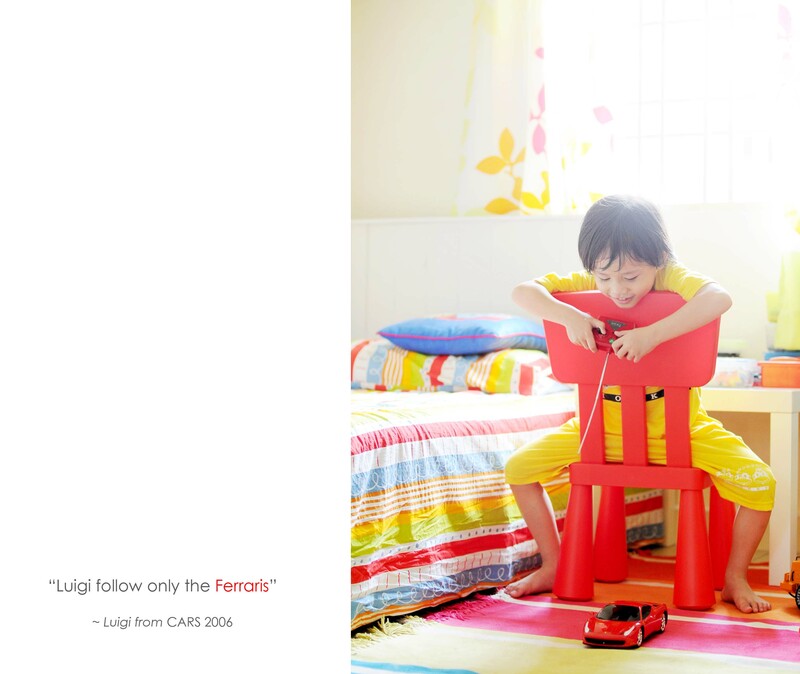 Luigi : Luigi follow only the Ferraris. Remember those dialogs? He watched the DVD like hundreds of time.. and wowwweee!!! We seriously couldn't wait for CARS 2!! !